During your stay in Indonesia you may have friends or family coming to visit you and they will need to know the Indonesian government’s regulations regarding visitors’ visas. Based on reciprocity, holders of passports from 12 countries are able to enter Indonesia visa-free for 30 days. These countries are Brunei Darussalam, Chile, Ecuador, Hong Kong, Macau, Malaysia, Morocco, Peru, the Philippines, Singapore, Thailand and Vietnam. 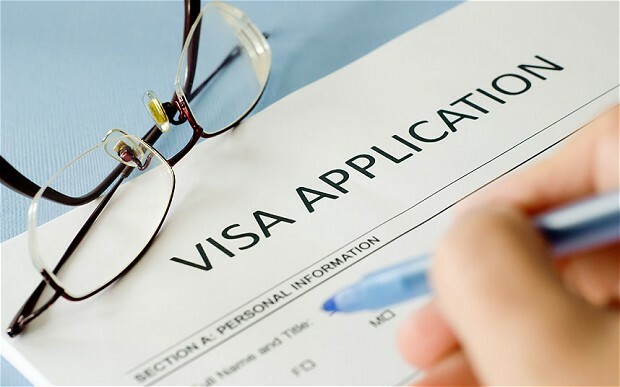 The 30 days stay cannot be extended or converted to another type of visa. Passport holders from a further 64 countries are able to obtain a visa on arrival. These countries are Algeria, Argentina, Australia, Austria, Bahrain, Belgium, Brazil, Bulgaria, Cambodia, Canada, Cyprus, Czech Republic, Denmark, Egypt, Estonia, Fiji, Finland, France, Germany, Greece, Hungary, Iceland, India, Iran, Ireland, Italy, Japan, Kuwait, Laos, Latvia, Libya, Liechtenstein, Lithuania, Luxembourg, Maldives, Malta, Mexico, Monaco, the Netherlands, New Zealand, Norway, Oman, Panama, People’s Republic of China, Poland, Portugal, Qatar, Rumania, Russia, Saudi Arabia, Slovakia, Slovenia, South Africa, South Korea, Spain, Suriname, Sweden, Switzerland, Taiwan, Timor Leste, Tunisia, United Arab Emirates, United Kingdom and the United States of America. A 30 day tourist visa for US$25 is available at points of entry which have the visa on arrival facility. A seven day short-stay visa for US$10 is available at certain entry points in the Riau Islands. Payment must be made in US dollars on arrival and it is recommended that travelers have the exact US dollars cash as not all entry points have full bank facilities available. A 30 day visa issued on arrival may be extended later at a local Immigration office for a further once only period of up to 30 days for a fee of Rp 250,000. Additional extensions are not possible, except in extraordinary circumstances such as natural disasters, accident or illness, and the tourist visa cannot be changed to a different kind of stay permit. This policy is applicable to all visitors arriving at the airports in Jakarta, Denpasar, Manado, Medan, Padang, Pekan Baru and Surabaya, as well as several seaports including those at Batam, Belawan, Sibolga, Dumai, Padang, Tanjung Pinang, Jakarta, Bali and Jayapura. Foreigners from the abovementioned 64 countries arriving at any other border entry point, including land borders, require a visa from an Indonesian diplomatic post. Visitors from other countries not mentioned above must apply for a visa in their nearest Indonesian embassy or consulate before coming to Indonesia. Indonesia requires at least 6 months validity remaining on passports for visitors entering the country. Please note that the date of arrival in Indonesia is counted as day one of the permitted stay.